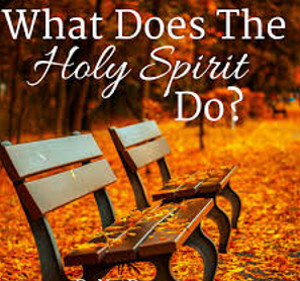 WELCOME TO PRIME LIFE MINISTRIES: What Does The Holy Spirit DoFor The Born Again Believer? For The Born Again Believer? The Holy Spirit possesses a dynamite-like power that works within a believer to blast out anything that is unlike God. The Holy Spirit uses His power to break us so that He might transform our life. The more we get self out of the way and yield our will to His, the more He is able to pour Himself out through us to others, and the more He is able to transform our lives. We are merely the conduits, the channels through which God's power moves. He Intercedes On Our Behalf, Helps Us In Our Weaknesses, And Teaches Us How To Pray. He Talks To And Through Us. He Teaches Us All Things, Reminds Us Of Scripture And Guides Us Into Truth. He Transforms Us Into A New Creation. He Gives Us His Fruit. He Gives Us Gifts For Ministry. He Gives Us Power To Live Godly Lives. We may look the same on the outside, but inside we are a new creation, we are born again, with the Holy Spirit and His power. We can apply the benefits and power of the Spirit in our own lives, understanding what the Spirit does in our life. He Gives Us Boldness To Witness. NOTE: The salvation of souls is a supernatural work only made possible by the Holy Spirit’s power at work in the world. He Gives Us Wisdom And Revelation. IMPORTANT NOTE: For many of us, the potential which dwells within us, is never realized because we will not take God at His word. Symbols Of The Holy Spirit.